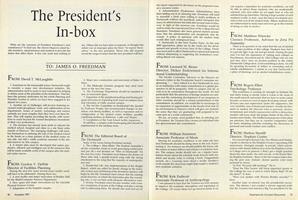 What are the concerns of President Freedman's new constituency? To find out, the Alumni Magazine asked faculty members, administrators and students to describe the issues that affect them. A few rare souls had nothing to say. 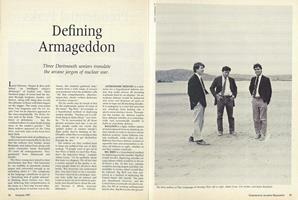 Three Dartmouth seniors translate the arcane jargon of nuclear war. Dartmouth's high honor, the Alumni Award, was presented to several distinguished alumni over the last year. 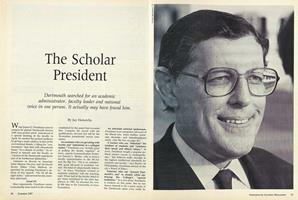 A forward look at the McLaughlin presidency.